Corporate citizenship is often a box on a checklist that companies try to account for in their annual activities. But for Accusoft, corporate citizenship isn't just a checkbox, it's an integral part of the business. From recycling bins lining the halls to the solar panels powering headquarters, Accusoft's commitment to serving the community and reducing its global footprint is widely apparent. Inspired by the passionate CEO, Jack Berlin, Accusoft's commitment to volunteerism and giving back exceeds expectations when it comes to philanthropy. Jack has been passionate about the Tampa Bay area since moving from Georgia over 25 years ago. He is very involved with the local community and currently serves on the Hillsborough County Parks, Recreation, and Conservation Board and on the Environmental Lands Acquisition and Protection Program (ELAPP) site selection committee. He encourages all his employees to do their part in the community by giving everyone the opportunity to champion a charity once a year with an Accusoft match. He also provides all employees with a day off to volunteer at a charity of choice without using any PTO. With all of these company-led initiatives, there was just one thing missing…↑ the choices for participation. A small group of Accusoft employees came up with the idea to create a group committed to brainstorming, organizing, and setting up charitable events for Accusoft employee participation. Accusoft's Change Makers Committee was formed in 2018 as an initiative to provide a diverse array of options for employees to get involved. Inspired by Jack's vision for corporate citizenship as part of everyday business, the committee has since organized and participated in 10 events. 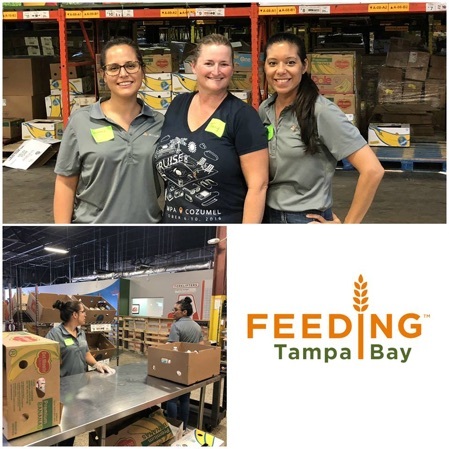 In 2018 alone, the Change Makers volunteered at Feeding Tampa Bay, the Tampa Bay Humane Society, Habitat for Humanity, Coastal Cleanup, and more. The projects were led by internal employees who organized and promoted the project with others. 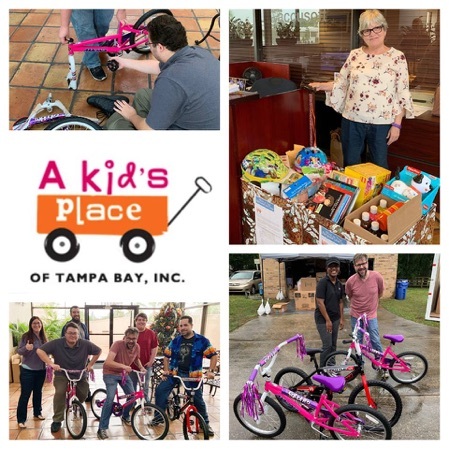 The Change Makers cleaned up Hillsborough River around Al Lang Park with Coastal Cleanup, helped build two homes with Habitat for Humanity, and donated numerous gifts including three bikes, an assortment of toys, and household items to the foster home known as A Kid's Place. The Change Makers Committee has not slowed down since. The Change Makers recently hosted a blood drive at Accusoft's headquarters and have more opportunities in the making. Accusoft's Change Makers Committee meets bi-monthly to brainstorm ideas and schedule volunteer activities in which employees can participate. It's a great way to get involved and lend a helping hand. Interested in working for an innovative tech company that cares as much as you do? Discover your future career on our job board.